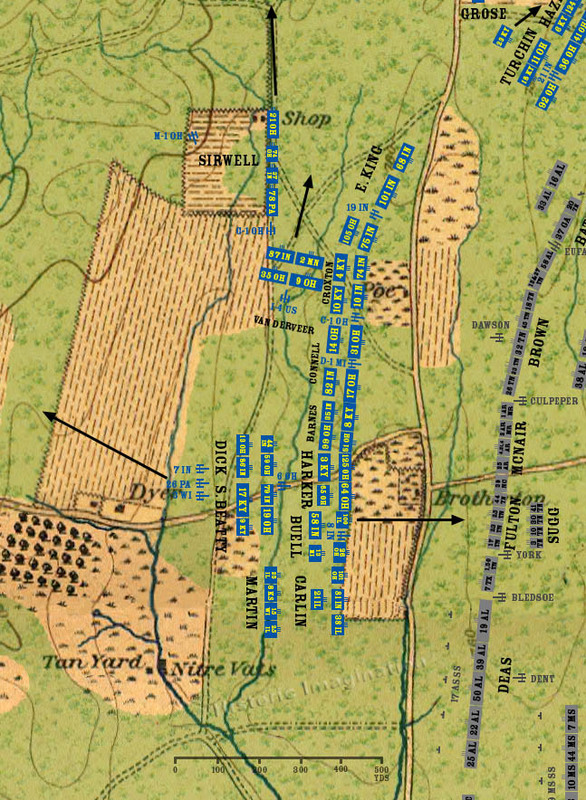 General Negley diverts Sirwell’s brigade from Kelly field toward the Snodgrass house. Van Derveer’s brigade of Brannan’s division is ordered north by Thomas in response to Breckinridge’s attack. Unable to find good ground to deploy, Van Cleve’s artillery is ordered back to the high ground north of the Dyer farm. In Buell’s brigade, Colonel Frederick Bartleson of the 100th Illinois leads his regiment on an unauthorized reconnaissance toward the Rebel lines.